Click on the "Columns" tab, and now select the columns you wish to appear in your report (you'll see those columns auto appear below after you select them). Now click on the "Filters" tab to refine the list of prospects by "Date Added" so you can choose how far back you want to view prospects. You can also set any other parameter you wish to filter with. You can choose to show prospects from all locations, or select the 'Locations' drop-down menu to select to show prospects from just a single location. If you click on the any of the actual columns in the prospect list, the list will resort in alpha-order starting with that column. 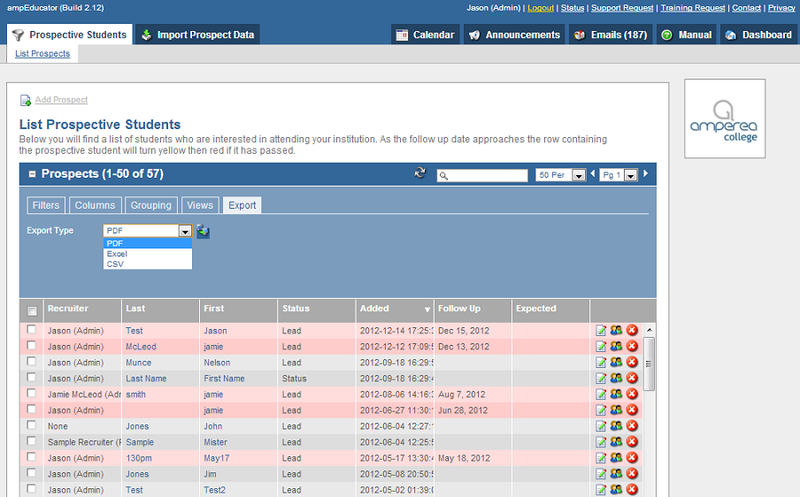 Now click on the "Export" tab and you can select to Export these prospects into a report in either PDF, Excel or CSV. 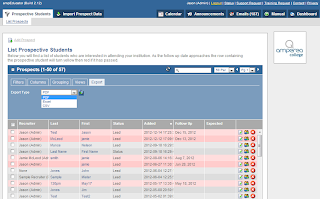 Have any questions about using the prospect export function? Feel free to Contact us today!